No it's not a new version of DBA, just an awful title to drag you in. 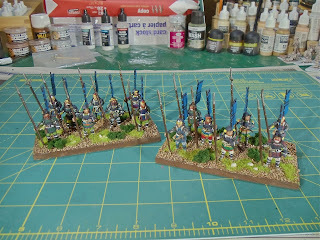 This weekend was a rather productive weekend for painting as I got two batches of figures painted up. First up is a trio of Veteran Assault Tripods for All Quiet on the Martian Front. Figures are all plastic with some metal bits (all the extra plating is metal). As you'll notice one of the tripods is not based. Terry asked me not to base his figures as he'll take care of it himself. Next up is the second army of the three I'm painting up for Dennis. This is the Spanish & Tlaxcalan army [IV/19( c)]. 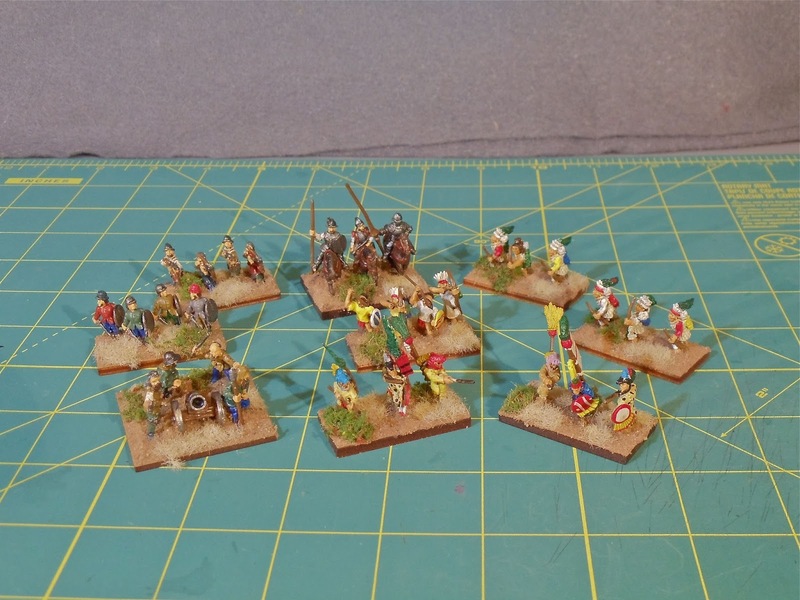 I believe the majority of these are from Black Hat Miniatures. This army is predominantly a shooting army with a Knight and Blade alongside some Artillery, Crossbow and a bunch of Bow. 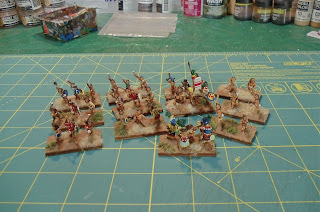 On my paint table right now is a box of Victrix' new 28mm plastic Warriors of Carthage that I'm assembling. 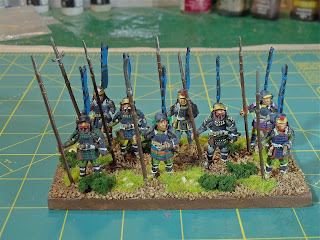 Tonight I finished the first of three 15mm DBA armies for Dennis. This army is the Zapotec Meso-American army (IV/53). I believe these figures are all from Black Hat Miniatures. This army is pretty much all Auxilia and Psiloi. The army painted up pretty nicely. 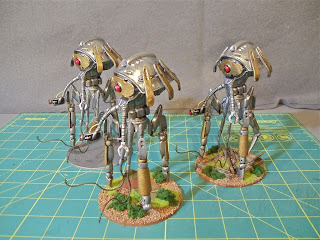 Next on my table is a trio of tripods for Martian Front followed by another of Dennis' army. 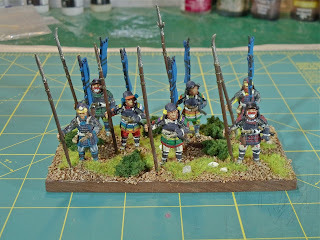 Some Samurai & The Great War! 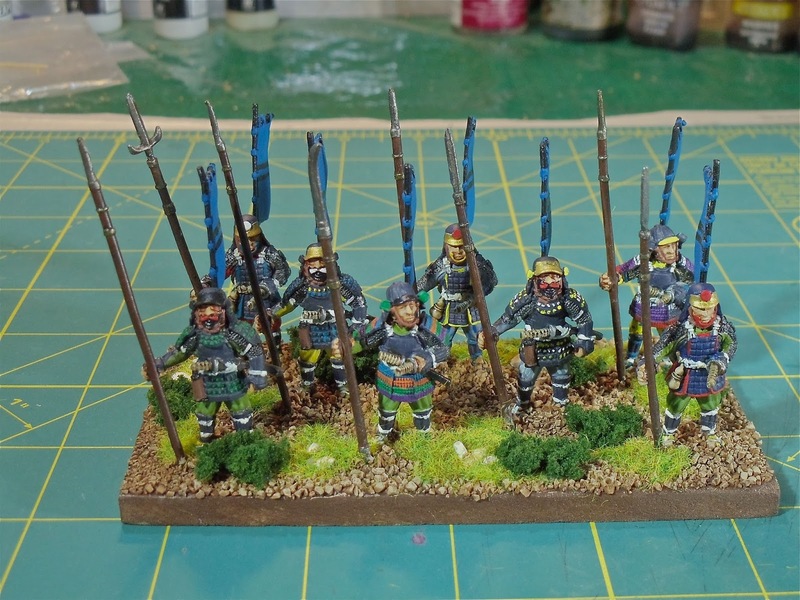 Last night I finished a couple bases of my long-running Samurai project. 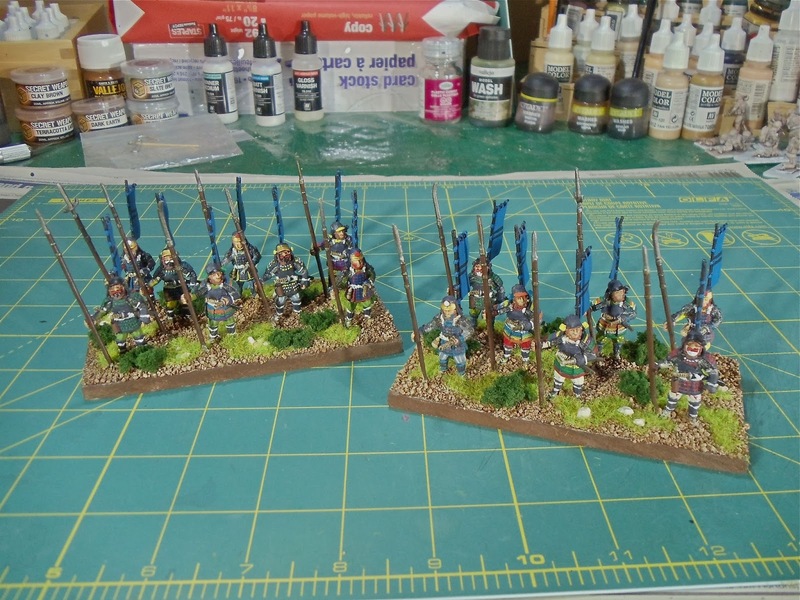 These are the first two bases of actual Samurai I've done. 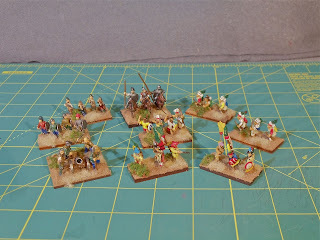 Figures are from Kingsford Miniatures out of B.C. . Figures are based for Impetus. 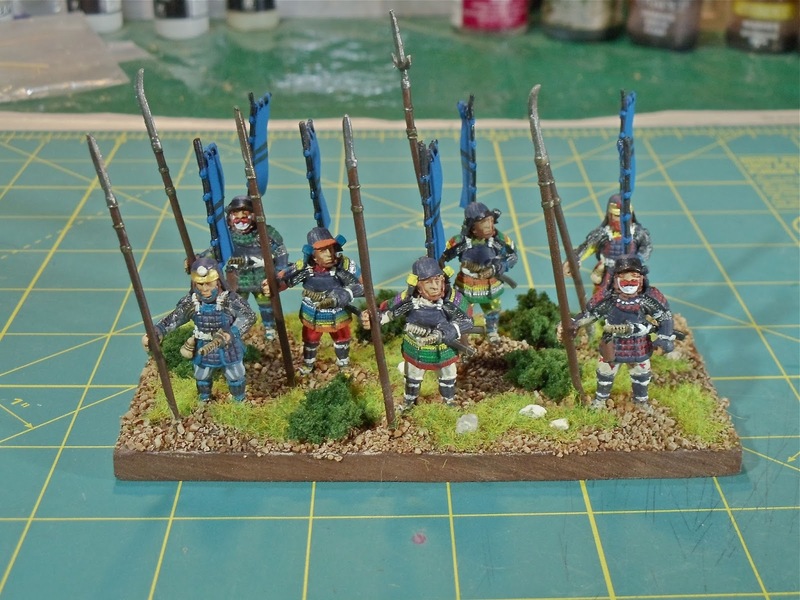 I went with the same dark blue/grey base colour as my Ashigaru and added a pile of extra colour. I think they turned out pretty decent. One of my goals this year was to get four bases done, so I'm halfway there. 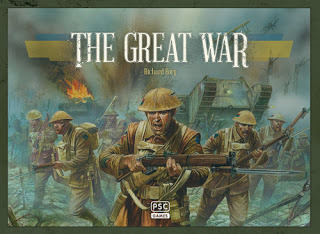 And also today my Kickstarter copy of The Great War (Commands & Colours World War 1) arrived! I imagine I will be playing this at next game night. For my next painting task, I've agreed to paint three 15mm DBA Meso-American armies for Dennis to pay off my purchase of a pile of his 25mm Macedonians. I've actually been wanting to paint Meso-Americans for a while and as they have no horses, even better! So next on my paint table are the Zapotecs.